How to set up a and structure a firestore database. How to retrieve and read data from a firestore collection. How to restrict who can read your firestore database. This tutorial is a sequel to all in the ionic/firebase tutorial series which i have been on for a while. 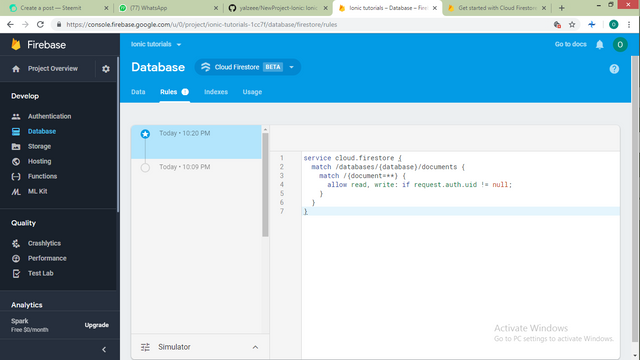 If you havent seen any of those and are not familiar with firebase set up head to my blog and read all my firebase tutorials for better understanding of what we will be doing here. Start up with a new project using this command. 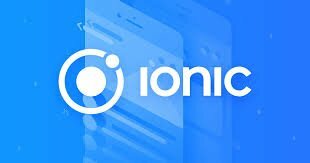 With the slow migration to ionic 4 you would be prompted on whether you would like to create an ionic 4 project which is quite different from ionic 3. I would recommend that you refuse and use ionic 3 which is what i will be using in this tutorial. If you are familiar with the ionic routing with angular however you can proceed to use ionic 4 and the tutorial would also be applicable in that version. You can then proceed to creating a new firestore database which is still in its beta stage but works perfectly in my opinion. And you can change this later on as you progress using firestore. After you have linked up your ionic app to your firestore account as in my last tutorial you can get on to using firestores collections and document. 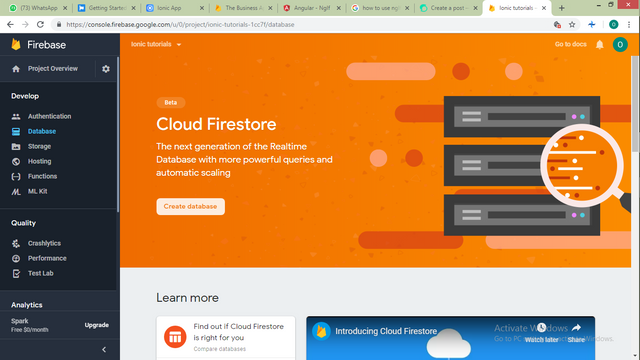 The major difference between firebases database and firestore is the use of collections. For firestore you need to include any document you are adding to your database in a collection. This makes the database quite complex because you cannot add a collection directly to another collection. If you would like to add a collection under another it would need to be under a document under that collection. In this tutorial i would be covering the major and essential functions you would be using when using firestore and how to manage your database and develop a debug free code. In our new project generated ill create a new service to handle all my public firebase functions and ill call it firestoreService and add a few things. For the purpose of this tutorial we would be trying out the crud operations and learning how to set up active listener that checks for changes made to your database and updates your documents. As commonly used we would be using creating a note taking app which caries out all crud operations. To get started we would declare some variables. When the constructor builds the two instances would be created under our database and will be ready to carry out crud operators. As seen, the first note which we referred to as this.note1 is the reference for a document under the collection called this.cloudBook. From this a question of where the id comes from rises. Firestore automatically generates an id for every new document added to its database if an id is not provided. This helps to keep the data on your database anonymous and safer in a way. This id is generated when you use add(). But you can create your own id by alternatively using .doc('Use the desired Id').set(_pass your data here). Next thing would be setting an event listener for your backend. This is very useful for applications that have multiple people using the same account at the same time. return this.book//This can be subscribed to anywhere in our application. When youre done creating your functions you would like to restrict who can read your database just in case your program is ever duplicated for any reason. 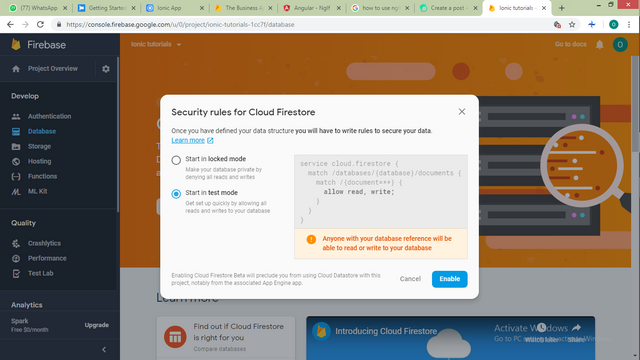 To do this you can restrict read or write permissions to people who are authenticated by firebase. I would cover authentication in a separate tutorial. But for now i would show how to set rules to only allow someone who is authenticated to read your data. This is done from your firebase console. As stated below we would only allow read and write when the request being sent has a valid user authentication Id. This would only allow access to your database when a user is authenticated. In the next tutorial i would cover authentication methods and ways to update a current users data using firebases inbuilt authentication service. Your tutorial is interesting and well explained, however there are already several online tutorials to talk about this subject. In the next tutorial, pay attention to the suggestions we have given you to bring something more innovative to the open source community. Thank you for your work. I upvoted your contribution because to my mind your post is at least 5 SBD worth and should receive 120 votes. It's now up to the lovely Steemit community to make this come true. Congratulations @yalzeee! You received a personal award!